While many of the items in this catalog section are on display in our store, most items are only available by special order. Please contact us for availability and pricing information . There is more information about this product available! Please contact us by email for more detailed and in-depth information. 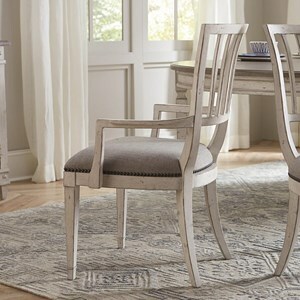 Bassett of Cool Springs features the best selection of Dining Chairs in Cool Springs, TN. We're able to show many more products in our online catalog than in our physical showroom, so please contact us for availability information. Bassett of Cool Springs features a great selection of living room, bedroom, dining room, home office, entertainment, accent, furniture, and mattresses, and can help you with your home design and decorating. View recent additions to our online furniture gallery. Bassett of Cool Springs offers great quality furniture, at a low price to the Cool Springs, TN area.